Volkswagen’s Golf R is a superb all-rounder. We probably don’t need to tell you that. 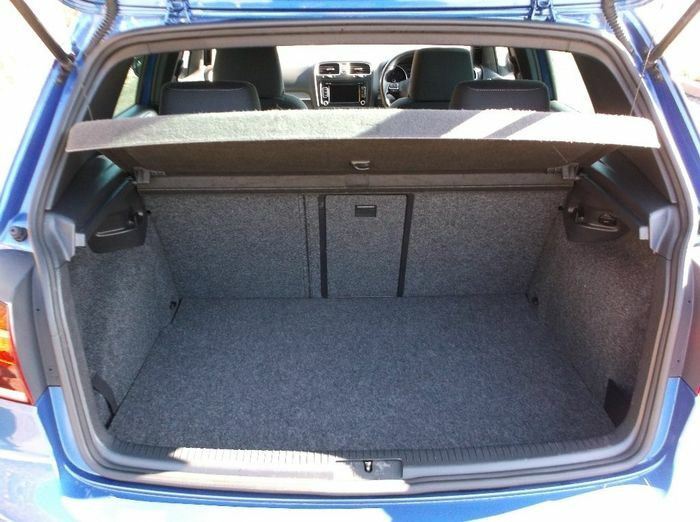 A combination of 300bhp(ish), a useful boot and five seats you can sit actual human beings in make it one of the cars that could potentially be all the car you ever need. 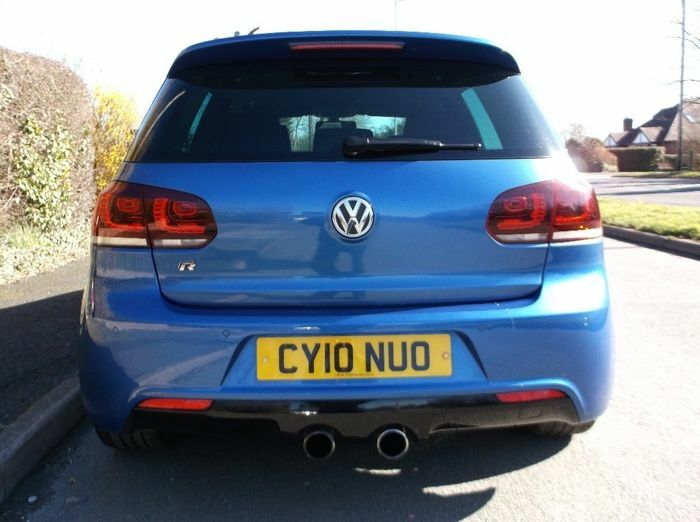 The R has also been in the news lately thanks to the tougher new WLTP emissions test that’s in force in Europe. Manufacturers’ only option to meet targets in the short term is to reduce power from their existing engines. The Golf R’s EA888 turbocharged four-pot – and those of its loosely-related sister cars from Audi, Seat and Skoda – have all been docked a handful of power points in order to pass muster with the regulators. Time’s marching ants of progress have effectively been punted backwards. Where showroom hot hatchbacks normally have enough of a performance edge over their ancestors to persuade people to buy new, right now they don’t. And that means you can pick up an early Golf R, albeit with a slightly lower 266bhp, for a quarter of the price. First: memory lane. 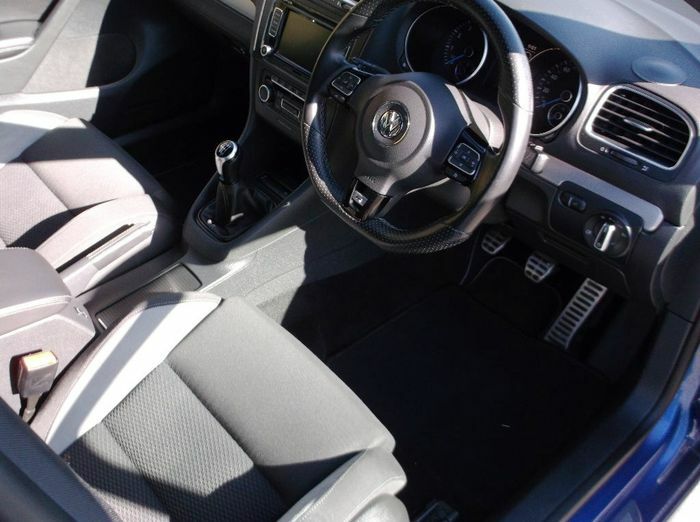 Cast your mind back to 2010 and the Golf R’s first appearance. 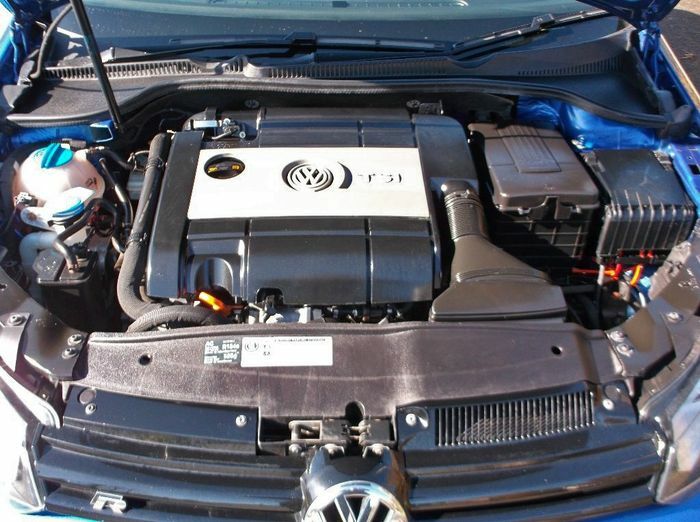 The MkV R32 had been killed-off years before because no one was mad enough to buy it when the GTI was so competent, so much cheaper and arguably better to drive. The R was different. A huge chunk more power from its EA113 without too much extra chub catapulted the humble Golf into a new league of hot-hatchery. On-demand four-wheel drive wasn’t (and still isn’t) infallible but it did give the car bonkers launch pace and all-weather traction. All of a sudden the Golf had got angry; people loved it. If that isn’t tempting enough (and it should be), there’s also the allure of a manual gearbox, now axed from the new R’s order form. It wasn’t as mechanically satisfying or engaging as, say, a Mazda MX-5’s, but rowing through waves of boost on your own terms was still brilliant. Subsidised finance deals also made it cheap to lease or ‘buy’ on a PCP, so before long, Rs were everywhere - in the UK, at least. Fast-forward eight years and take a peek at the classifieds. 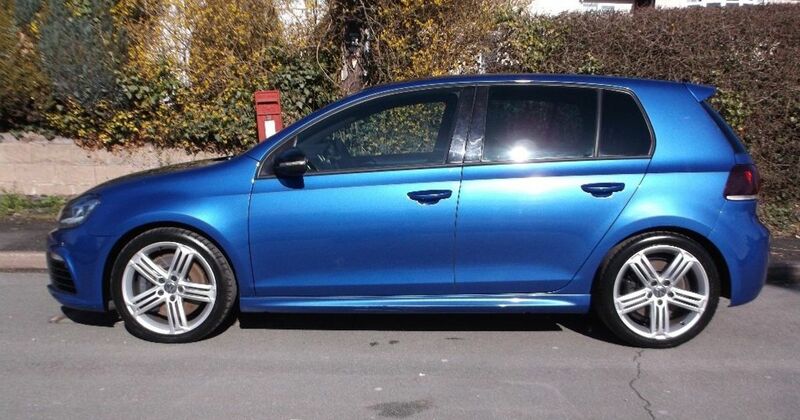 We quickly found this 2010 MkVI, eye-catching in Rising Blue metallic with the correct five-triple-spoke wheels and part-Alcantara seat trim. It doesn’t look to have many optional upgrades, whatever the seller says, but it’s a manual, it’s in great condition and it’s a bargain. Remaps are cheap for this engine, too, and a few hundred pounds will bump outputs up to the 300bhp area. With 87,000 miles to speak of, our pick is no spring chicken, but nor should it be anywhere near spent. About 10,000 miles of use per year of its life should have kept it ticking over nicely… provided the service history is on point. It’s only had two owners, which is a really good sign, and it’ll get a daisy-fresh MOT when someone buys it. We don’t see much not to like. 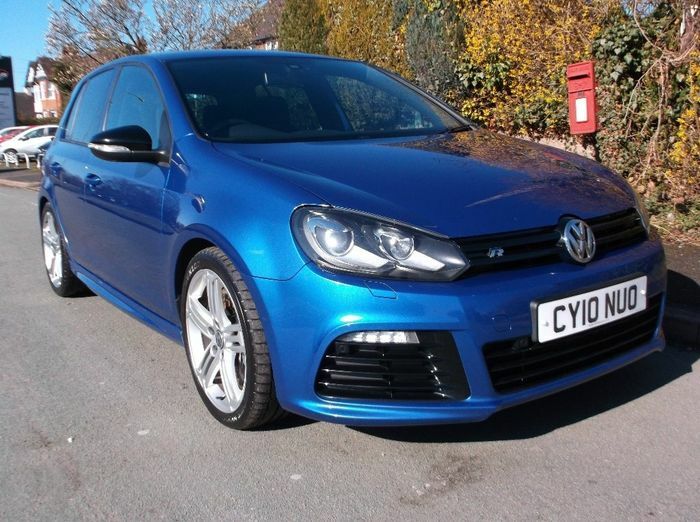 The price is a shade under £12,000, which, when you consider the fact that MkVII Golf Rs on Volkswagen’s UK press fleet are nudging £50,000, makes the MkVI look like a biblical bargain. Who’s tempted?